Mr. Harold Johnson Bebber, 85, Hopewell Church Road, Hiddenite, passed away on Wednesday, November 7, 2018 at Gordon Hospice House in Statesville. Mr. Bebber was born January 14, 1933 in Alexander County, the son of the late Van Dorn Bebber and Estelle Johnson Bebber. 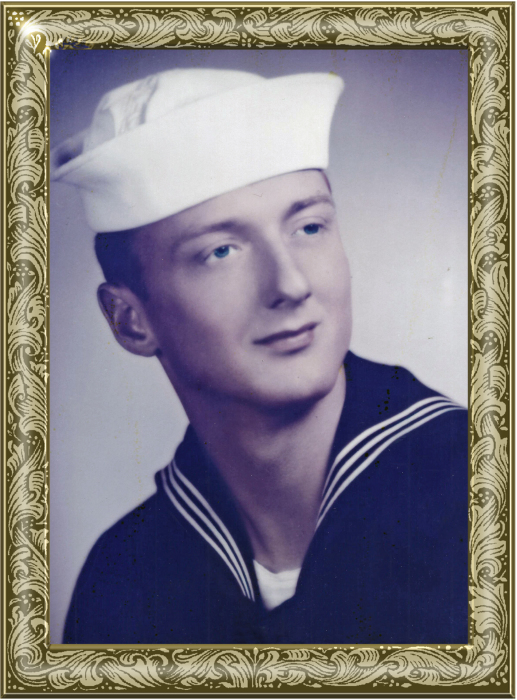 He was a US Navy veteran, who served in the Korean Conflict and was a member of the First Baptist Church in Taylorsville, where he enjoyed the fellowship of his fellow church family. Harold was a member of the 1951 Taylorsville High Baseball, winner of the Highland Championship. He loved his antique cars and was a member of the Pontiac Classic Car Club and was an avid golfer. Harold attended Appalachian State University for three years where he studied Business Administration. He was President of his Class at Appalachian State from 1959-1961 his Freshman, Sophomores, and Junior years. He spent the majority of his working career for Southern Bell in management, where he retired as District Manager after 30 years of service. Upon retirement he pursued his passion for sports as a sports writer for the Taylorsville Times. Also during his professional career, Harold was an active and dedicated Rotary Club member and United Way member, serving as Chairman of the Reidsville United Way. Including his parents, he was preceded in death by: his wife of 62 years, Kay Williams Bebber; two sons, Gregory Paul Bebber, Van Dorn Bebber II; a sister, Evelyn Bebber Fox; a brother, Bob Bebber. Those left to cherish his memory include: three daughters, Sherri Bebber and husband, Charles Halterman, of Hilton Head, SC, Laura Bebber Ware of New Bern, NC, Amy Bebber Smith and fiancé, Skip Meszaros, of Huntersville; a son, William Neal Bebber and wife, Yvonne, of Landrum, SC; a brother, Coy Bebber of OK; a number of cousins and extended family members; grandchildren, Sandra Kay Halterman, Shannon Halterman, Cara Brooks Halterman, Ethan Boneau, Cassandra Boneau, William Christopher Bebber, Van Dorn Bebber III, Evan Tyler Smith, and Logan Chandler Smith. The funeral service will be held at 2 p.m., Sunday, November 11, 2018 at First Baptist Church in Taylorsville. Pastor Dan Redding will officiate. Burial will follow in the Three Forks Baptist Church Cemetery with full military honors accorded by DAV Chapter 84 of Taylorsville and Chapter 6 of Hudson. The family will receive friends at the church one hour prior to the service. In lieu of flowers, memorials may be made to: Gordon Hospice House, 2341 Simonton Road, Statesville, NC 28625 or EC Class at Hiddenite Elementary School, 374 Sulphur Springs Road, Hiddenite, NC 28636. Adams Funeral Home and cremation services is honored to be serving the Bebber Family.